Happy Birthday jill, I hope your day is/was amazing!! Happy Birthday my friend. Hope you got everything you wanted and were treated like the special lady you are. 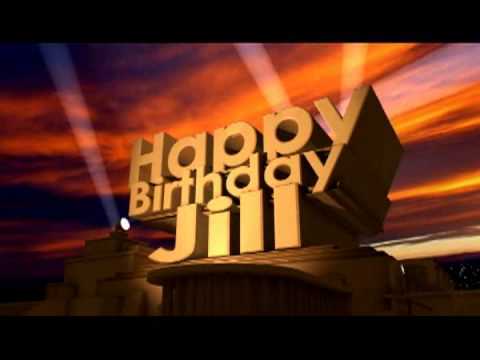 Happy Birthday Jill..hope your day is filled with yummy biscuits..rum..and a damn good book! Happy birthday Jill ! May your day be happy and bright! May a good book be always in your sight! .....or reach ....may you always find joy and will to dance your bum off with your peeps....and I hope a sweet smile will never leave your lips. Does that involve moving a bed ? A bed and a treadmill..only two flights up. You have a truck, btw? Even though we mere mortals have no chance of catching a glance from you …we still Luv you <kisses>! And Honey –Everyone Loves You! Happy Birthday!!!! how rude! Take a cab! A bus! Or uber! How could you ride her lady tuber! face first, feet first, perhaps your rear? Here's to Jill's Mom!! Happy day you gave birth!! Well, geeze, this is worth a rerun. Btw, coincidentally, I just spent one hour reading Fortune Teller thread from beginning. What fun..crazy questions, brilliant answers. I'm so sorry I missed it..
Last edited by 66rockman; 01-18-2018 at 02:02 AM.